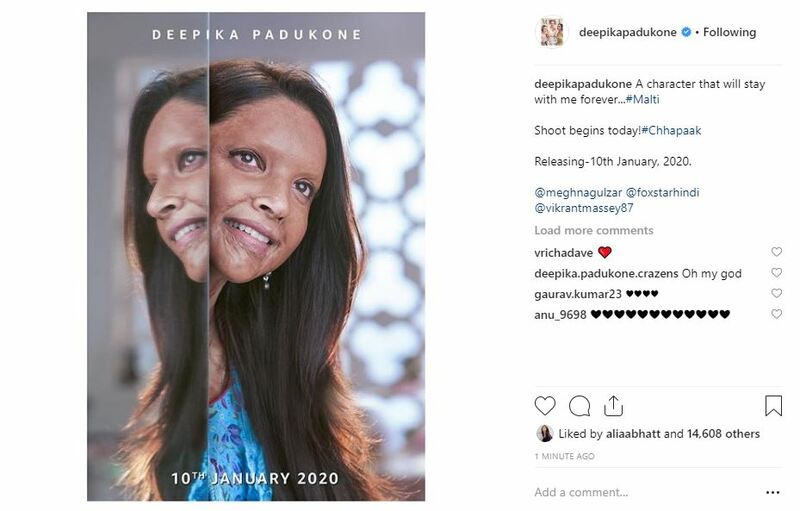 Revealing the look of real-life acid attack survivor, Laxmi Agarwal, Deepika posted a picture on her Instagram account and the resemblance is uncanny! Deepika’s character will be called ‘Malti’ and she looks absolutely unrecognisable in the picture. The picture is as powerful as it can get! Apart from the amazing prosthetics, it’s the intensity in the actor’s eyes that will win you over. Deepika effortlessly emotes the undying human spirit and determination of the survivor in the picture. In the caption, the actor revealed that the film goes on floors today and also shared the release date of the upcoming drama. “A character that will stay with me forever...#Malti Shoot begins today! 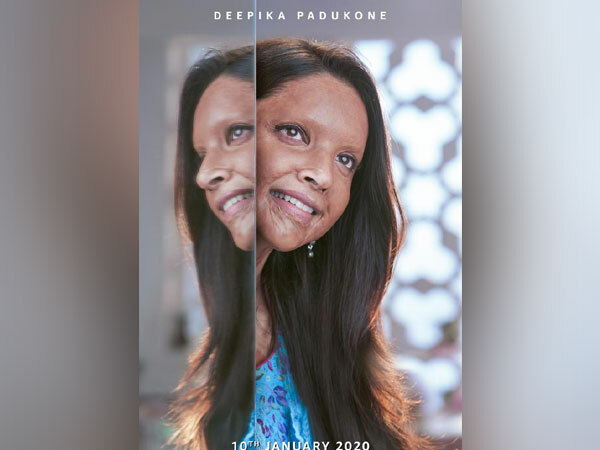 #Chhapaak Releasing-10th January, 2020. @meghnagulzar @foxstarhindi @vikrantmassey87,” she wrote alongside the picture. The film’s team had earlier shared a picture from the script reading session of the movie. The 33-year-old actor will essay the role of Laxmi, who at the age of 15, was attacked allegedly by a spurned lover in 2005. Agarwal had to undergo several surgeries. Later, she took up the job of helping acid attack survivors and promoted campaigns to stop such attacks. Her attacker, a 32-year old man, was an acquaintance of her family. Agarwal is a well-known advocate of stricter punishments in acid attack cases. The film is being helmed by Meghna Gulzar and being co-produced by Deepika and Fox Star Studios. Deepika was last seen on the big screen in Sanjay Leela Bhansali's 'Padmaavat'. Meanwhile, Vikrant last appeared in AltBalaji's web series titled 'Broken but Beautiful', where he played the role of a heartbroken husband who lost the love of his life in a car accident. Meghna’s last film ‘Raazi’, which starred Alia Bhatt, was a critical and commercial success. It also dominated the awards season this year, bagging the best film trophy at the recent Filmfare awards.